We developed the Query Store Performance Dashboard to give you additional insights into the information that is stored in the Query Store. The dashboard can be used directly from SQL Server Management Studio and not only provide query runtime information on a per-database level, but also aggregate runtime statistics for your entire SQL Server instance! 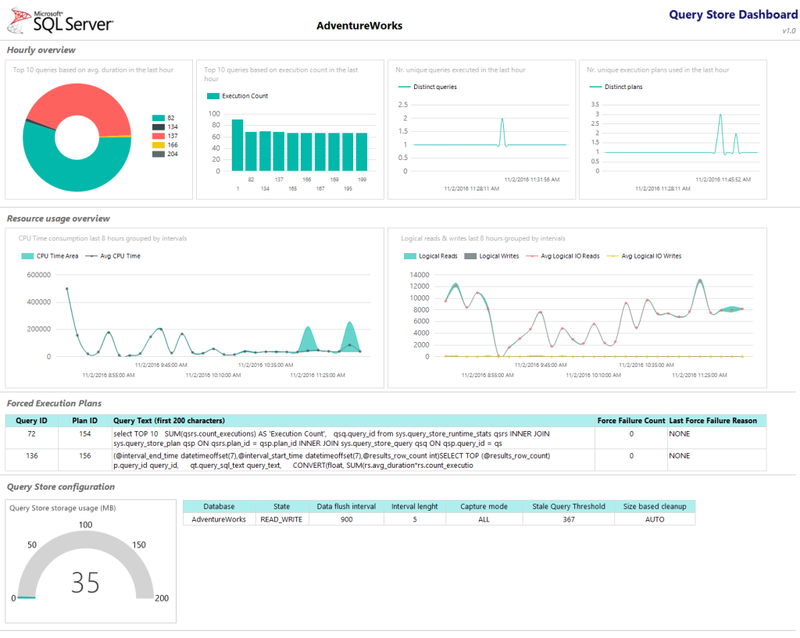 The Query Store Performance Dashboards are 100% free! All you need is a Microsoft SQL Server 2016 Instance with databases that have the Query Store feature enabled. The code is available through GitHub. This means that you are free to use the code to create your own versions of the Query Store Performance Dashboard and share them with the world! Want to download the dashboards and give them a try? Visit our GitHub page here: //github.com/Evdlaar/QueryStoreDashboard.